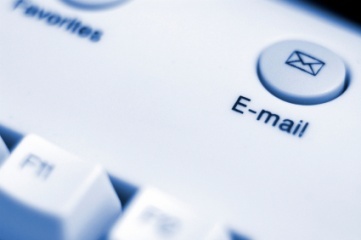 The first impression you make on customers may include the e-mail address that you use. An address like janedoe42@hotmail.com looks amateurish, whereas jane@mycompany.com is much more professional. Here’s one way you can make the switch, typically for under $20 a year. 1. Pick and register your business domain name (the part of your e-mail address after the @ sign). If you have a common business name, it might be already taken, so you might have to get a little creative. Some sites that provide this service are godaddy.com and 123-reg.co.uk, or search for domain name registration in your country and check that your choice offers free e-mail forwarding (most do). 2. Sign up for a GMail account. Many other e-mail services will also work. It doesn’t matter too much what this address is, as your contacts usually won’t see it. 4. Set up GMail to make it look like you’re sending messages from your new business e-mail address. Set this as your default account. That’s it! Now you can log into GMail and treat that as your business e-mail address, your contacts won’t be able to tell the difference. Siobhan Hitchmough is a customer advocate, community manager and part-time tutorial wrangler. When she's not seeking out new challenges she leads the community and support team at inFlow Inventory. JennyHow points out that with eBay’s new rule forbidding sellers from linking to their websites, using a branded e-mail address is one way to let buyers know about your site. I really liked your article, very nice work! When I need more traffic to my site I use definitehits, seems to work great. Keep up the good work this was very helpful! Thanks for this article, I will definitely try it out on my new domain I just bought. You’re welcome, Helen. Glad that you find it useful. I have been reading these posts for some time now and do enjoy your site. Thank you for always delivering on the info. I want to mention a service which I am using to Improve web site ranking It is a great service but it is probably finishing soon. Might help! For more information on the services we’ve mentioned above I would suggest having a look at their various website and touching base with them about what they offer. can I set up more than one email adress with the same domain. Like maybe hart@vex79.com and tony@vex79.com reason I ask is that I have to set up business email for 13 different members. Yes, you can! Although each of them would have to have their own gmail account to forward to. Another way is to set everything up using google apps for business: http://www.google.com/enterprise/apps/business/ It’s $5 a month per user, but it’s the “proper” way to set it up. You could be an admin and give out accounts as needed.